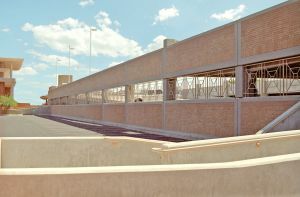 Podolsky designed this three-level precast concrete parking structure for the City of Mesa Police and Courts. One level is below grade with sufficient clearance to house the Police Department command and SWAT command vehicles. The upper deck was designed to accommodate a heliport landing pad. 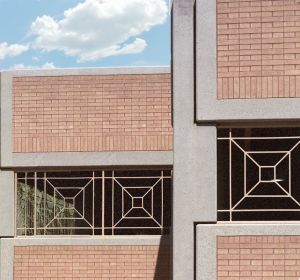 A natural ventilation solution was devised to achieve the ventilation requirement in lieu of the need for mechanical ventilation. 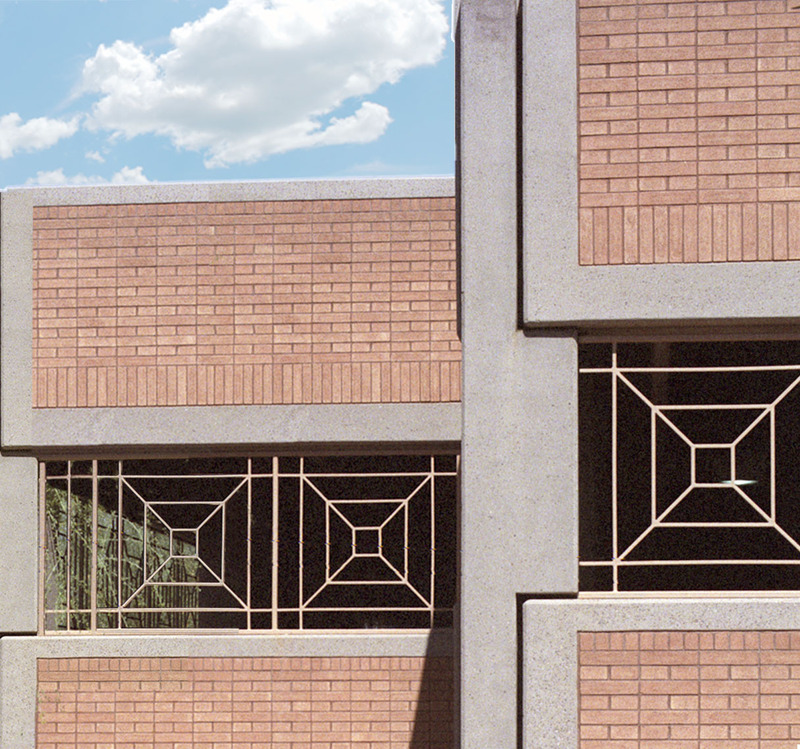 The brick in the spandrel panels was selected to match the adjacent courts and police administration building. The foundation system design includes both vertical and horizontal expansion. The parking structure accommodates 557 vehicles.